In fact, just a few days ago I was sitting right next to Jim Rickards during the taping of a television show when this topic came up. Jim expressed his belief that investing in gold is superior to investing in silver, but I had the exact opposite viewpoint. In this article, I would like to elaborate on why I believe that silver represents a historic investment opportunity right now. Why is this of significance? 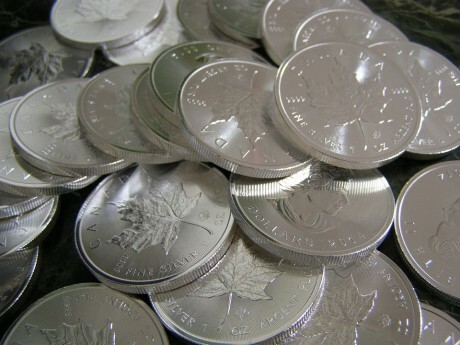 Because in such tiny quantities it is economically impractical to ever recycle any of this silver, at prices anywhere near the (absurd) levels of recent decades.Thus this silver is being consumed in tiny amounts, but in billions and billions of consumer products, over a span of decades. But once again, don’t even think about getting into precious metals until you have the basics squared away. It is often said that you can’t eat gold or silver, and that is very true. In our new television show, my wife and I are always going to tell it to you straight. A lot of people out there are relaxing right now because they think that the recent stock market rally means that the crisis is over. What they don’t understand is that this new financial crisis is just in the very early chapters. There are going to be more ups and more downs, and the shaking that we have seen so far is just the beginning. Many of you may not want to believe me at this moment, but by the end of 2016 life in America is going to look dramatically different than it does right now. So please get prepared while you are still able to do so.